Presented to an artist or group to recognize their long-time contributions to the music and ministry of Christian Radio. 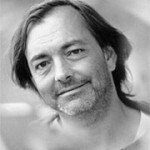 Rich Mullins was a songwriter and artist whose influence continues to be felt years after his death. A winner of multiple Dove Awards, including Artist of the Year, Song of the Year and Songwriter of the Year, his classic songs such as “Sing Your Praise To The Lord” (recorded both by Rich, and by Amy Grant), “Sometimes by Step”, “Hold Me Jesus”, “Creed”, “My Deliverer” and the timeless “Awesome God” helped define the Christian Music Radio format in the 80s and 90s. His love for Jesus, and his commitment to the poor and most vulnerable of all mankind, was at the heart of everything he did. Rich died tragically in an automobile accident just outside of Bloomington, IL in 1997.